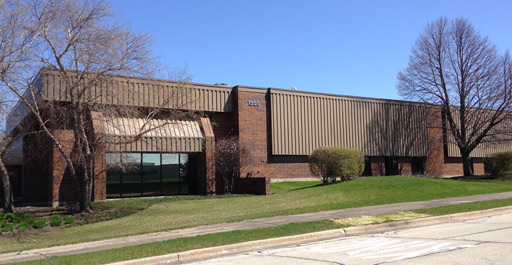 1555 Basswood is an industrial building located in Schaumburg, Illinois, one the largest commercial sub-markets in the Chicago MSA. The building totals 33,436 square feet situated on a 2.04 land site in the Woodfield Business Center. The building is less than 2 miles from the interchange with Interstate I-90. Built in 1984 this building has office space totaling 10,444 square feet, parking for 44 cars, and 21′ clear ceiling height. The property is currently 100% leased to 2 tenants.